The Corcovado Foundation sea turtle conservation and volunteering program is now in its 14th year and we need all hands on board! 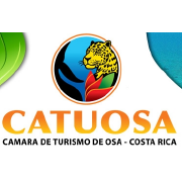 We offer the opportunity for people who wants to make a difference and actively participate in the conservation of endangered sea turtles in Costa Rica’s spectacular Osa Peninsula and the Caribbean. As a volunteer, you will take part in conservation, environmental education and ecotourism activities. 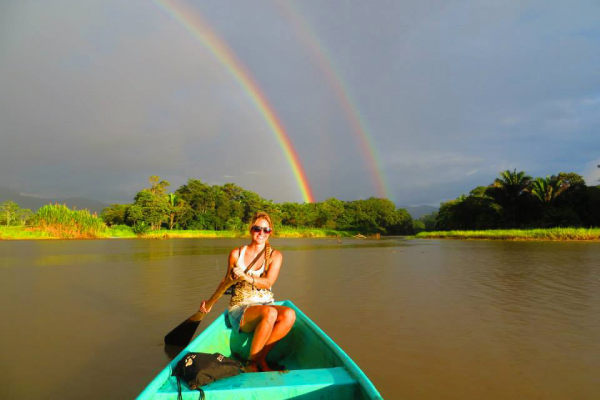 You will meet new people and can immerse yourself in pristine wilderness and genuine Costa Rican culture. Our successful strategy works to combine environmental education and conservation activities to give local communities a viable socioeconomic alternative to poaching. Your financial contribution not only will be used for your room and board, but also will help us pay for supplies, and the salaries of biologists that will work with you. You will be contributing with your talent and your financial support to maintain the program. Click here to find out more about the volunteer program or to apply now! Thank you for sharing your passion and experience about the turtle program, ecotourism and the community. It has been an amazing, enriching experience. In 2019, we will continue to focus our activities on the Mama Carey turtle conservation project located in the Osa Peninsula, Rincón de San Josecito. Visit us and once there, you will be part of and collaborate directly with the organization and the community. Minimum stay: Two weeks. In order to optimize the orientation and training process. You must be friendly, communicative. Able to work in extreme weather conditions for 4-6 hours per day. You must have a medical travel insurance policy for the duration of your stay. The project has been protecting the turtles of the area for more than 10 years, Jonathan Miller, ethnobotanist and owner of Guaria de Osa together with people from the community, have been commiteed to patrolling the area since 2008. In 2017, due to lack of funding the project was not going to operate. The Corcovado Foundation has decided to join the cause and help maintain the program active. 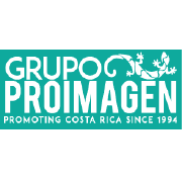 The camp is located in the Hotel Guaria de Osa, on the beach of Rincon surrounded by extreme wild nature. You will stay in co-ed rooms with private bathrooms. 3 meals are offered, you can also help to cook. The camp has several common areas, and it is located a few steps from the beach. There is electricity in the area but the telephone reception is limited as is the internet. The project site is locate in Playa Rincon beach. This beach harbors the endangered hawksbill seaturtle (Eretmochelys imbricata), the Green Turtle (Chelonia mydas) and the olive ridley (Lepidochelys kempii). The leatherback sea turtle (Dermochelys coriacea) nests in these beaches being one of the most important nesting beaches in the world for this endangered species. The beaches of the Costa Rican Caribbean have suffered enormously from the seaturtle turtle eggs poaching and their slaughter, but in the last 40 years, thanks to monitoring and protection, the poaching has been greatly reduced. However it is still a problem. Around 80% of the nests are still been poached by locals. The RVS Laguna Urpiano project has been the last to join the Caribbean leatherback sea turtle conservation and protection project system and the work on that beach is extremely important and necessary. Johnny, the director and owner of the refuge, is a native of these beaches, and with the help of his companion Barbara, has been fighting for many years for the conservation and recovery of the leatherback population in this area. As a volunteer you will take part in sea turtle conservation activities, including night patrols, relocating nests, recording scientific data, tagging of turtles, nest exhumations and the liberation of hatchlings. You may also be required to work on eco-tourism, environmental education and construction activities. We know that volunteers come not only to work but also to discover the incredible nature. The project offers the possibility of unforgettable tours and activities such as kayaking, horseback riding, rural tourism and farm activities. In the Osa Peninsula you can take trips to Isla del Cano and Corcovado National Park, or simply hiking around on surrounding rainforest trails… countless opportunities for the nature-lover. In Laguna Urpino there is also a wide array of options to discover. Rates starting at $35 U.S.D per night, per person. Ask about our discounts for extended stays. This amount covers accommodation, three meals per day and training. It does not cover the arrival and departure costs to the project location, nor tours and spending money. At the RFS Laguna Urpiano, the cost of the boat to the project is included. There are no ATMs in any of the places, so we recommend that volunteers travel with enough cash for possible tours. If you want to buy snacks or sweets, better buy them in San José or on the way to the project. Please complete the Volunteer Registration Form and send via email to aida@corcovadofoundation.org at least 2 weeks prior to your arrival. You will receive a confirmation email, along with a comprehensive Volunteer Orientation Manual with detailed information about transportation, what to bring and what to expect. Payment for your stay must be received before you arrive. In order to pay, please use this secure link and select ‘Volunteer Program’. Please note that payment for the first two weeks is non-refundable. Follow the Sea Turtle Program on Facebook! Adopt a Sea Turtle Nest Today!